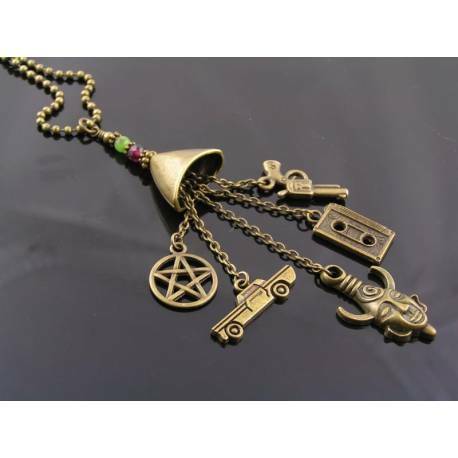 This one is for all you Supernatural fans. 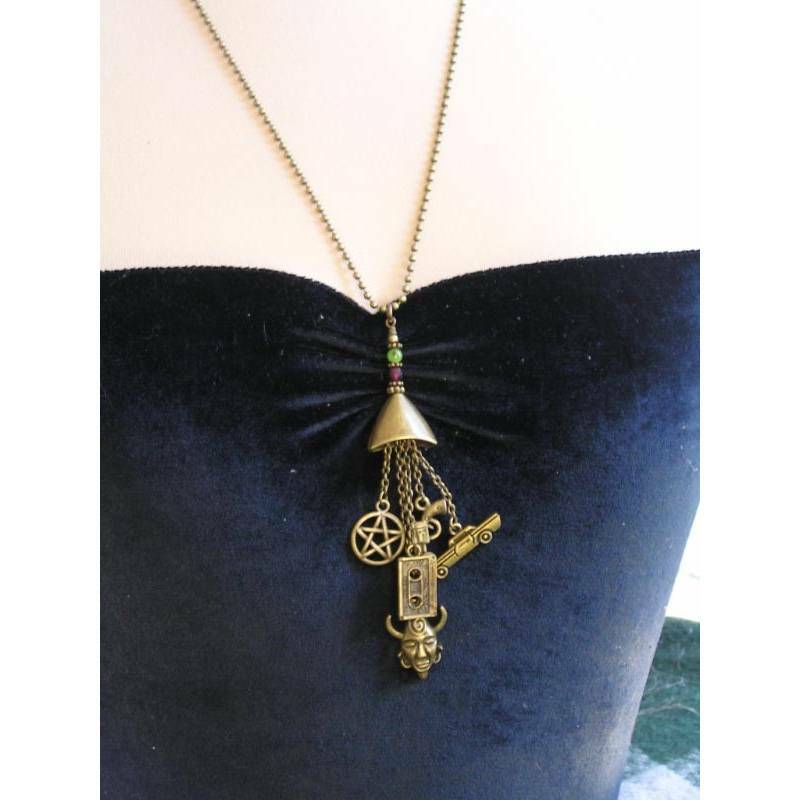 Gathered with a lovely, ornate bead cap are several lengths of chain, suspending charms reminding me of the Supernatural tv series. 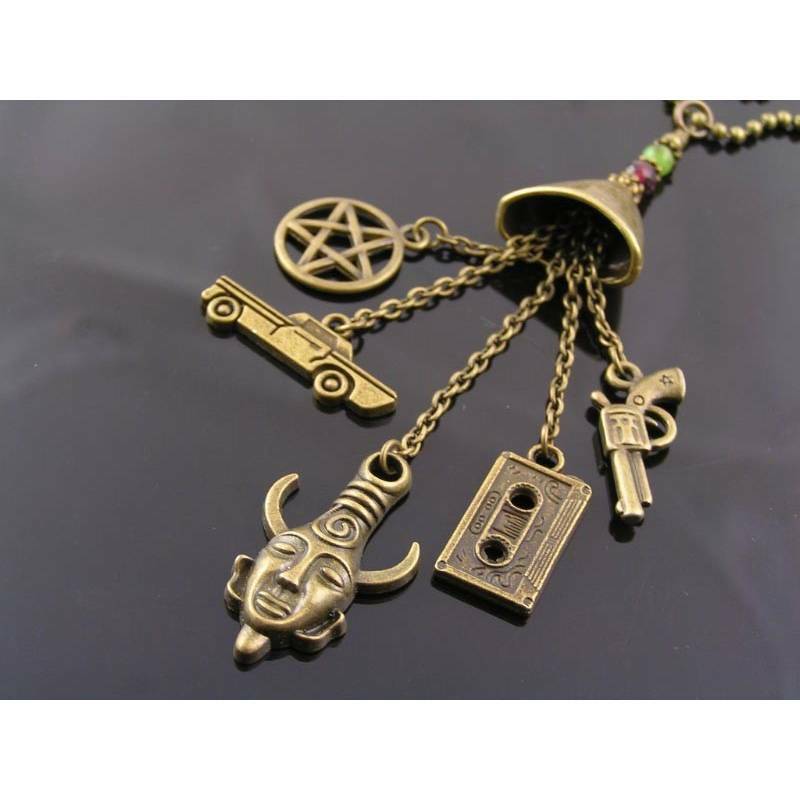 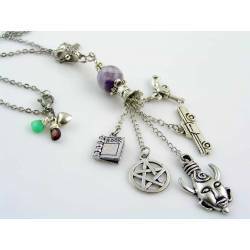 The charms are: Dean Winchester's amulett (what Dean calls an "Egyptian safety symbol"), the Impala, a pentagram, a music cassette and a colt. 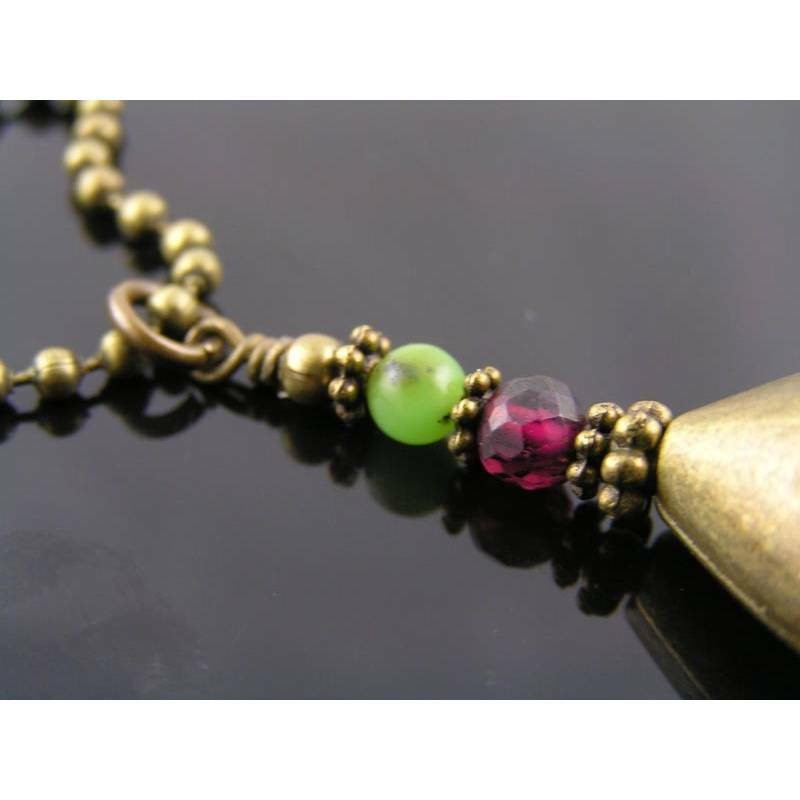 The charms are connected via a faceted garnet (Dean's birthstone for January) and a smooth chrysoprase (Sam's birthstone for May) bead to a slim line ball chain. 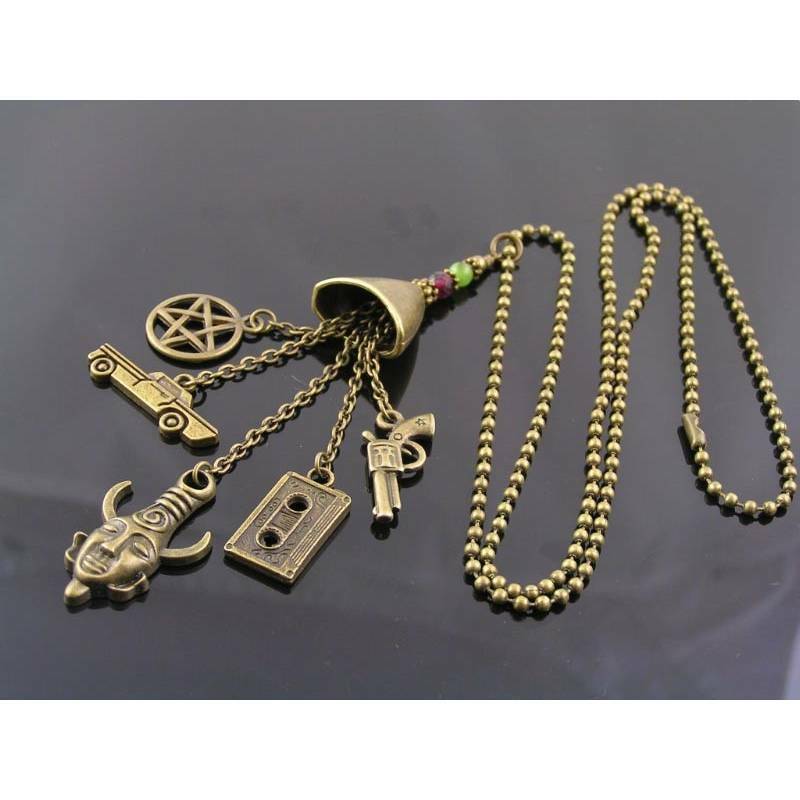 The chain measures 60cm and closes with a ball chain connector. 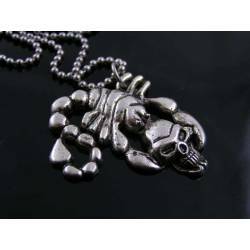 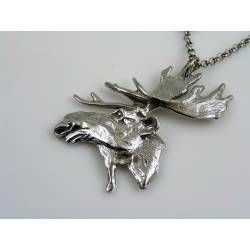 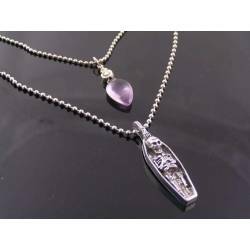 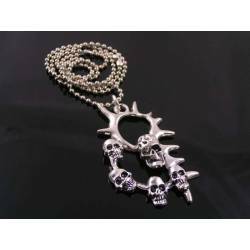 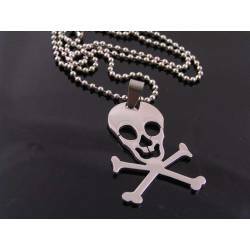 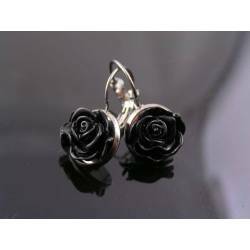 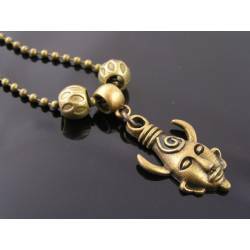 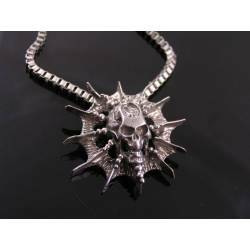 Total length of the pendant is 11cm. 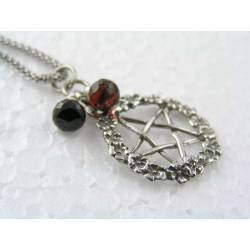 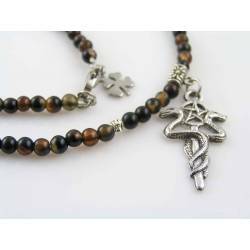 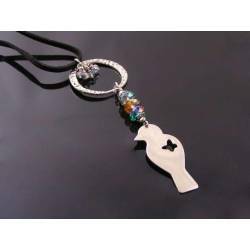 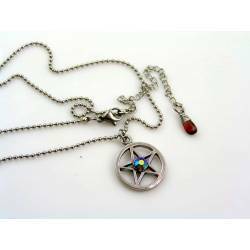 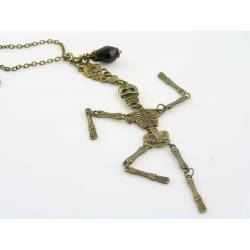 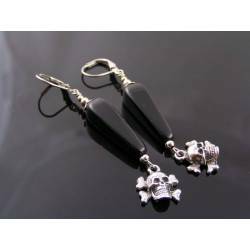 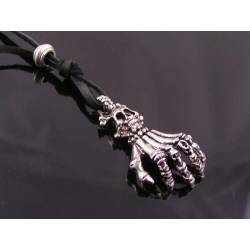 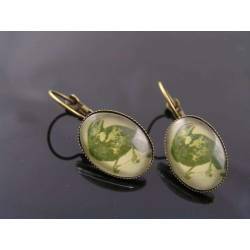 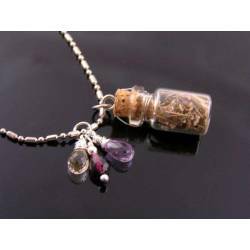 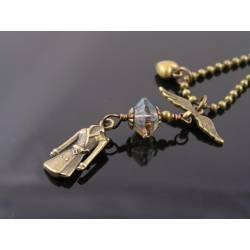 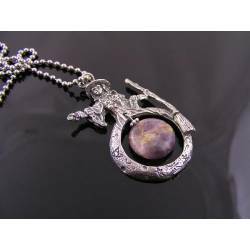 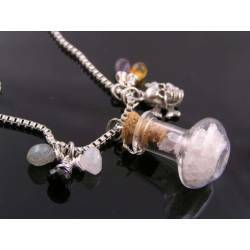 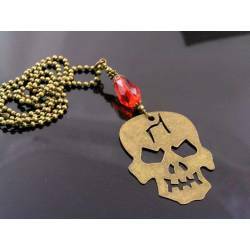 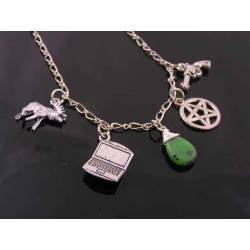 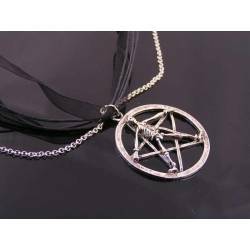 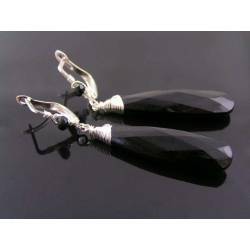 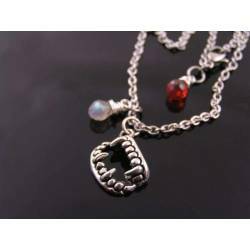 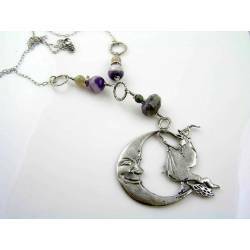 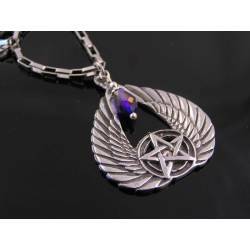 This would be a great gift for any Supernatural enthusiast.